Year-round, MESA sponsors US-based training and cultural exchanges for US Hosts and international trainees (“Stewards”) to learn and share sustainable agriculture practices. Our US-based Certificate in Applied Agroecology Exchange Program (CAAPX) is offered for beginning or established farmers, recent agriculture graduates, and sustainable farm advocates from around the world. Stewards who complete CAAPX, return home and work in agriculture for two or more years may be eligible to return to the US in MESA’s Next Level Program (NLP). 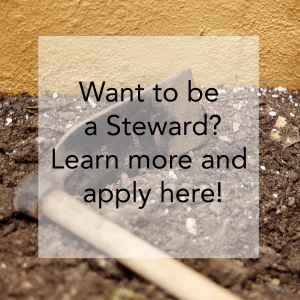 All Steward candidates must meet eligibility requirements to qualify for a J-1 training visa and enjoy up to 12-months of US-based training in sustainable agriculture. 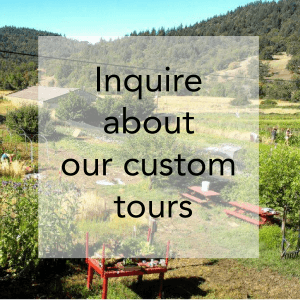 MESA’s US-based Hosts embrace a “learn and share” model of cross-cultural exchange and are eager to share and learn traditions, techniques, and innovations in sustainable food and farming systems with Stewards from abroad. Hands-on training may include mentorship and skill-building in sustainable production, distribution, marketing, education, research and/or community organizing. 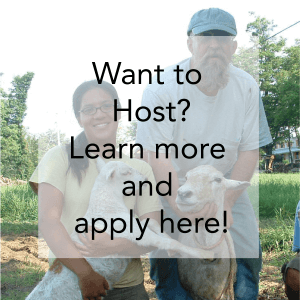 Hosts typically provide lodging, food, stipend or wages (compensation and educational opportunities vary by placement).